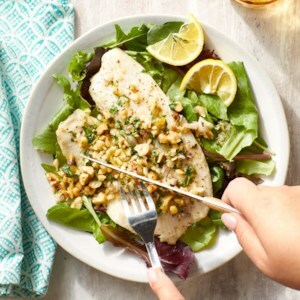 Find healthy, delicious hazelnut recipes, from the food and nutrition experts at EatingWell. 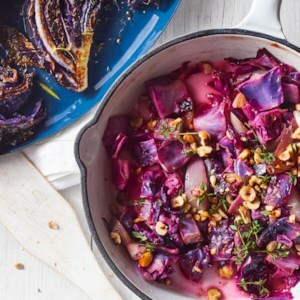 This pan-fried cabbage recipe gets tons of savory flavor from shallots and a delicious nutty crunch from hazelnuts. 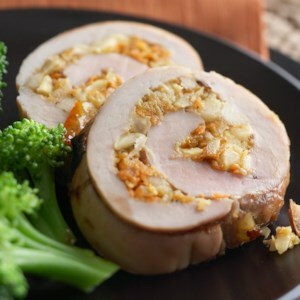 Serve this easy healthy side dish alongside roast chicken with gravy and mashed potatoes. 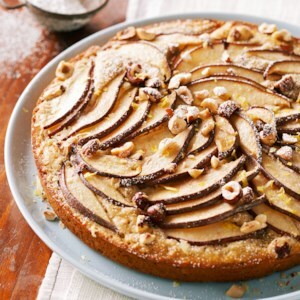 This elegant dessert is a real crowd pleaser! 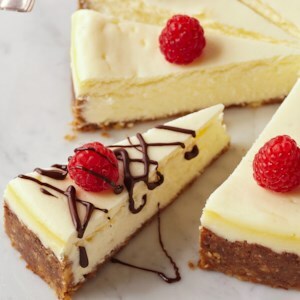 Made with a blend of fat-free cream cheese and mascarpone, this decadent cheesecake sits atop a graham cracker and hazelnut crust. For extra taste and presentation points, drizzle with melted chocolate and garnish with pomegranate seeds. 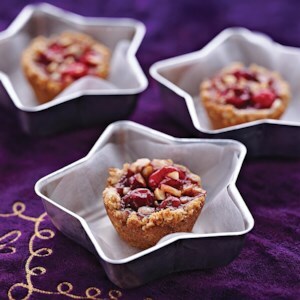 These mini dessert tarts are sweetened with a gooey filling of fresh cranberries and brown sugar and topped with crunchy, toasted hazelnuts. 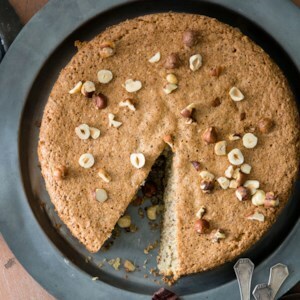 Next time you invite friends over for coffee or tea, serve this heavenly coffee cake topped with sweet pear slices and chopped hazelnuts. 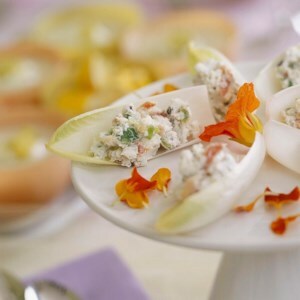 Blend the real-deal blue cheese with fat-free cream cheese for rich flavor with a third of the fat. 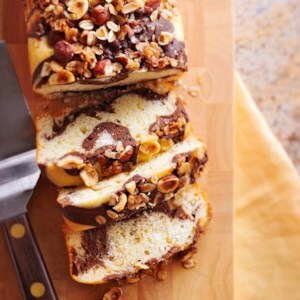 A toasted hazelnut streusel tops this marbled coffeecake. A hint of chocolate adds to the rich flavor. 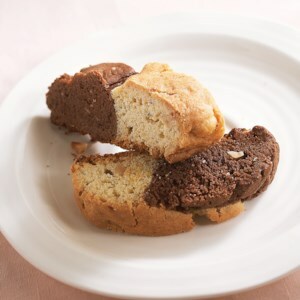 The flavors of decadent rich chocolate and delicate orange meet in this cookie. 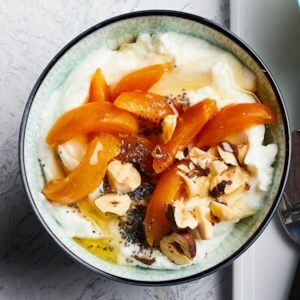 Enjoy this sweet treat for a snack or dessert. 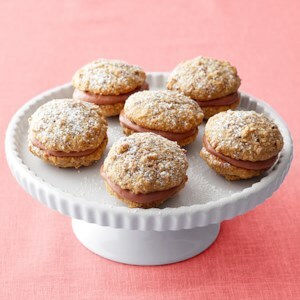 Traditional whoopie pies are transformed with crunchy hazelnuts and a chocolate filling. 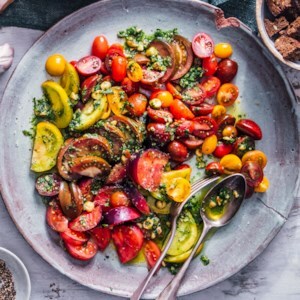 With this easy tomato salad, more is more--so if you want, go wild with an outrageous selection of tomatoes. 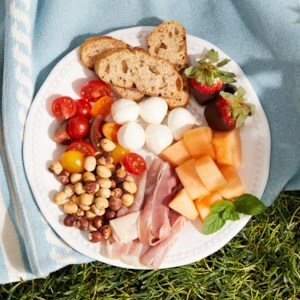 Look for big gnarly tomatoes, plum-shaped varieties, smooth or peach-fuzzed skins, zebra stripes, not to mention the miniatures at the summer farmers' market. All the visual variation means you'll get a range of flavors as well. 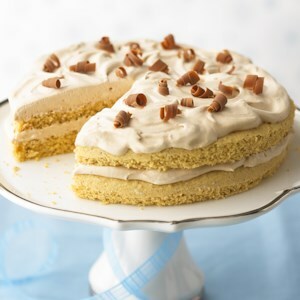 This rich, amazing two-layer cake has a smooth white chocolate frosting. 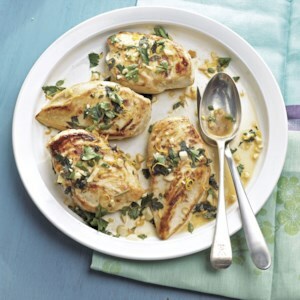 Each serving is still low in fat and has only 147 calories. 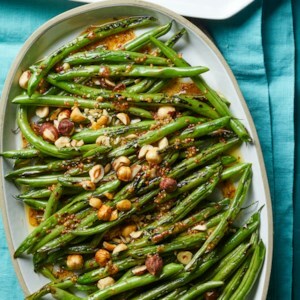 Use the entire cauliflower head--leaves (yes, they're edible), stem and florets and all for this healthy cauliflower main dish recipe. 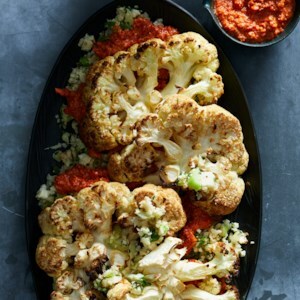 Be sure to not flip the cauliflower steaks as they roast, they get super-crispy and deliciously browned in the hot oven. 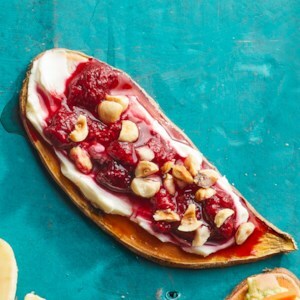 Swap your bagel for a veggie with this healthy sweet potato toast recipe. Any frozen fruit will work, but you can also use a fruit jam and skip the honey. 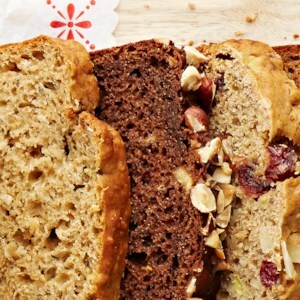 Cocoa and hazelnuts work in harmony to create a new twist on the classic banana bread in this simple recipe.